Tigers in India– this is something the most roaring achievement that the country has in its distinct locations including the most popular Jim Corbett National Park. The park which is specifically being called as the first tiger reserve in India is also being honored as the oldest national park to come under the project tiger mission. Located in Ramnagar in Uttarakhand, Corbett is the perfect home to most of the endangered Bengal tiger species. The objective, purpose and the outcomes of Project Tiger has gone a long way to bring a surprising rise in tiger counts in India. There was a time when all the present sanctuaries and reserves of India were once the hunting ground for the royal kings and the rulers (like Bandhavgarh and Ranthambore National Park); and hunting or poaching was the common phenomenon during ancient days. 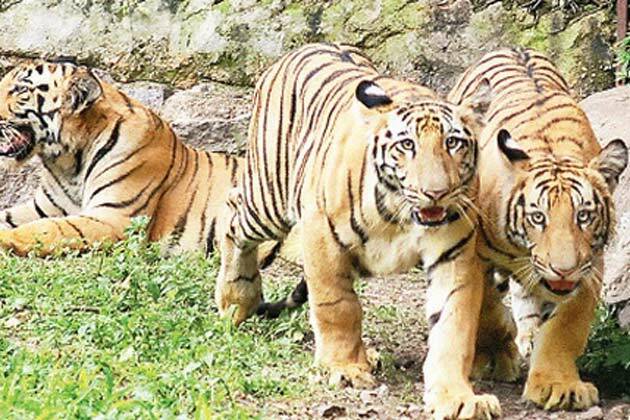 In mid 50s and 60s poaching activity increased to tremendous extent with the interference of human beings in the jungles with tiger-killings for their own benefits. As a result, tiger sightings became so rare in India that also affected the wildlife. But time changed then and so do the scenarios. With the deteriorating counts of the tiger population, different wildlife conservation projects were launched; and in 1972, the Project Tiger Mission came into existence with an appreciating effort by the Government of India. -To ensure a feasible population of Bengal tigers in their natural habitats in India. -Preserving areas of biological importance as a natural heritage for the people. To achieve this objective many initiations have taken place in India in different forms to create awareness among the people at every level. This objective encouraged many groups all around the nation to create different programs. Funds and commitment were mustered to support the intensive program of habitat protection and rehabilitation under the project. The government sets Tiger Protection Force to combat poachers, and funded the relocation of up to 200,000 villagers to minimize human-tiger conflicts. To bring more wakefulness, a tiger census was launched in 2008 to find the specific densities of tiger and their co-predators and prey in the extrapolating sites. Based on such surveys, the total tiger population is being estimated as 1411 individuals ranging from 1,165 to 1,657 adult and sub-adult tigers of more than 1.5 years of age. To increase the tiger counts, wildlife conservation societies took this responsibility as a noble act and inspired people to catch these majestic predators in different wildlife sanctuaries and made them aware of the presence of explicit varieties of tigers. The Project Tiger was also meant to identify the limiting factors and to lessen them with suitable management and for that many recoveries were done to the damages of the habitats and various tiger reserves were created in different parts of the country on a core-buffer strategy. The main achievements of this project are excellent recovery of the habitat and consequent increase in the tiger population in the reserve areas, from a mere 268 in 9 reserves in 1972 to 1576 in 27 reserves in 2003. The most impressive part of the improvement in the Tiger Project is the latest roles of social networking sites in wildlife conservation. This step actually created awareness at the mass level (or at international level) and also encouraged international tourists to throng at the major wilderness reserves in India. Thus, with effective conservation measures and intangible programs considerable salubrious achievements are witnessed under Project Tiger Mission in India. And today we can find tremendous special species of tigers can be found at different reserves of India.